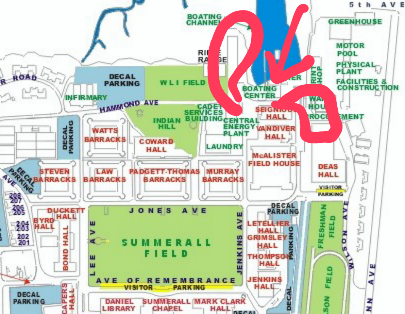 Plenty of parking in the lot to the left of the boat house, next to WLI Field. The Commandant Geno Paluso will be giving a brief overview of recent events on campus and commenting on future developments within the Corp! 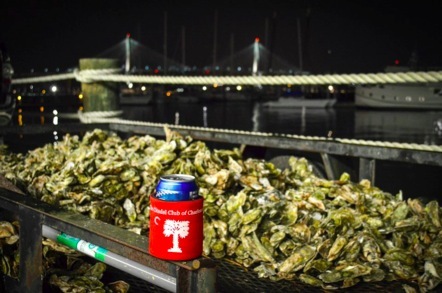 The Menu, provided by Josh Clayman '04 of Rollin South Restaurant, will be delicious local oysters steamed onsite, great Chili and Hotdogs and Brats with all the fixin's for everyone as well as Beer and Wine.